A quick note and illustration I wanted to share on the Mi-Go. One aspect of Mi-Go (or the Elder Ones for that matter) that I have not touched on was the religious beliefs of these entitles. 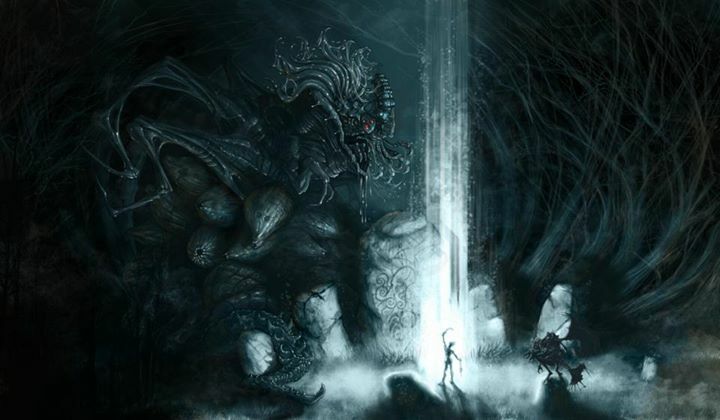 Later when we start discussing the larger entities (or Gods) we will get into the relationships between the “minion races” and the Gods such as Cthulhu, Shub-Niggurath and the others. However, for now I wanted to share this fantastic illustration done by Greg P. Onychuk called “The Black Goat”. Looks like a Mi-Go providing a sacrifice to her! Thank you – hoping to post a new article today.